Lucky me – I was invited to participate in the Summer School in Media Education in Italy! What a pleasure it is to join my Italian media literacy friends for this important program of professional development. And of course, the Italians have always been key players in the international media literacy community. When I met Roberto Gianatelli at a conference in Toronto the late 1980s, he was beginning to plan a gathering of Italian media educators at about the same time I was trying to develop a teacher education summer program at Harvard Graduate School of Education. 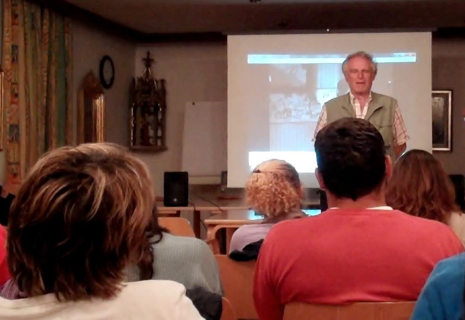 He first hosted the first Summer School in Media Education in the summer of 1991 at the lovely resort town of Corvara in Badia, high in the Tyrolean Alps of Northern Italy, surrounded by the majestic Dolomite Mountains. 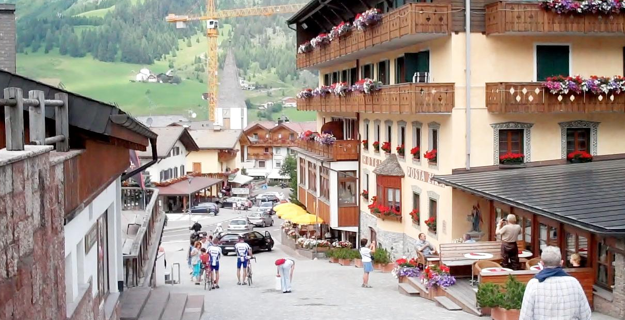 Every year, this group meets in Corvara for an annual gathering and it’s easy to sense the vitality and depth of collegial relationships that have developed as a result of this tradition. I have always felt a special kinship to Roberto and the diverse community of Italian media educators, who have followed a course quite parallel to that of the American media literacy movement, developing a professional membership organization for media and communication in education, MED, and recently launching a journal for scholars and practitioners, Media Education: Studi, Richerche, Buone Pratiche. Now the Summer School in Media Education is celebrating its 20th anniversary July 11 – 17, 2011, with more than 60 educators from across the nation gathering for a rich program of professional development, networking and sharing. Co-directed by Gianna Cappello, Roberto Gianatelli and Alberto Parola and coordinated by Luciano Di Mele, this program offers a combination of lectures, discussion groups, methodological seminars, and production workshops for media professionals and educators working in primary, elementary, secondary and out-of-school settings. Peccato non parlo bene italiano, but thanks to my dear friend and colleague Damiano Felini, I can make some sense of the program. Because this year’s Summer School theme focuses on the cinema, many of the production workshops explore the use of film in the context of media literacy education. For example, in a session on videogames and cinema led by Max Andreoletti and Anna Ragosta, participants explored the videogame, “The Movies,” which is a Sims-style simulation game where you get to control a movie studio and produce short films. 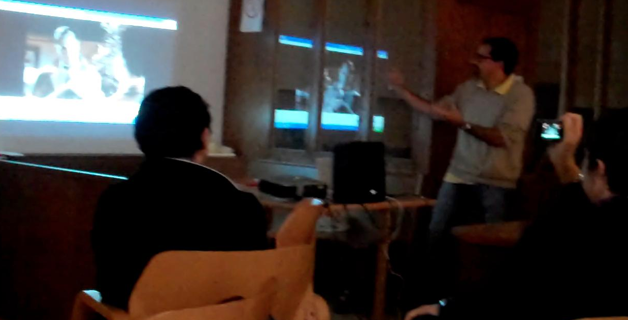 Participants discussed various possibilities for using this software with children. In a session on digital storytelling led by Alessia Rosa and Isabella Bruni, participants created short films exploring the representation of teachers in the movies and movies that made a difference in their lives. One group of educators explored the power of the 1964 film “Mary Poppins,” with each team member writing reflectively about a song or story element of the film with special personal significance to them. Another group, led by Filippo Ceretti, learned strategies of film analysis by selecting film stills from a short film and re-creating them to better understand the constructedness of visual imagery. It’s a real thrill to share my passion for media literacy with this talented group of educators!